You'll go bananas over Eco & You cardboard furniture! You’ll go bananas over Eco & You cardboard furniture! 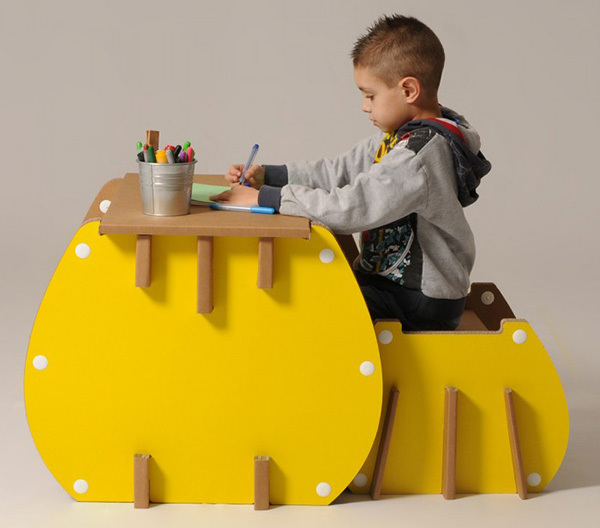 If your kids take their cardboard construction seriously, they’ll be full of admiration for the brilliantly designed and fun cardboard furniture from Eco & You. The Eco & You kids furniture range is positively overflowing with clever cardboard furniture and decor items. Choose from three super fun collections – Fruit Juice, Safari and Line. My favourite? The Bonita Chaise Lounge (pictured top, €99) which I don’t doubt for a second will be a hit with my cardboard loving children! 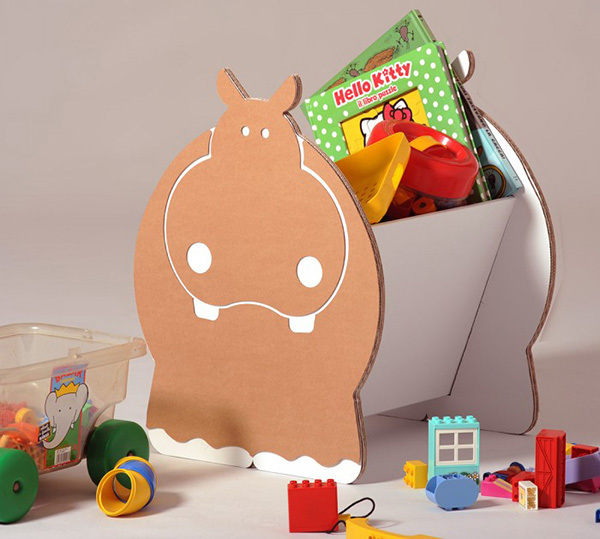 The cute and cheerful Hippo Toy Basket (€49) provides ample room for toys and treasures to be packed up each night. I also have a major crush on the Eco & You Romeo desk and bench set (€99). Available in six different colours, it’s positively perfect for any space. Eco & You cardboard furniture is as hard-wearing as it is flexible – special folding techniques and interlocking ways means furniture can be pulled apart and reassembled time and time again – and when you’re done, straight into the recycling bin it goes! Shop the whole eco-friendly furniture collection direct from Eco & You.